Let me share with you a little secret of the south that sprouted about 5 months ago. 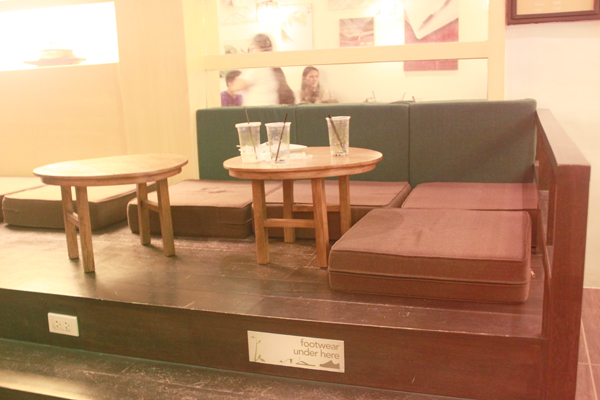 It's warm and cozy and serves milk tea--yes, I just heard all the milk tea fans hold their breaths! If you're looking for a new place to try out, you might want to read on. 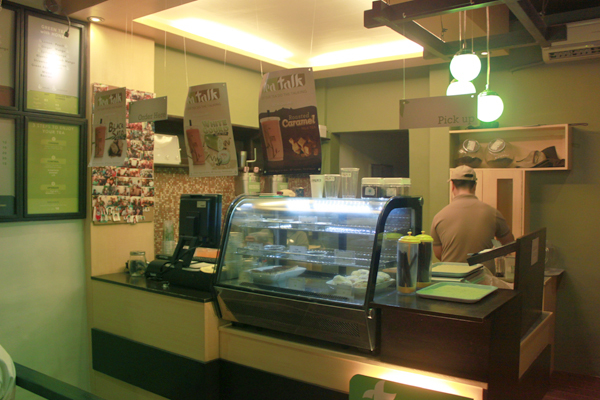 TeaTalk is as young as a baby with its first branch only on its fifth month. This "milk tea house" may be crawling now, but wait til it starts to walk and all the people start to talk! Of course I didn't mean that literally, silly! 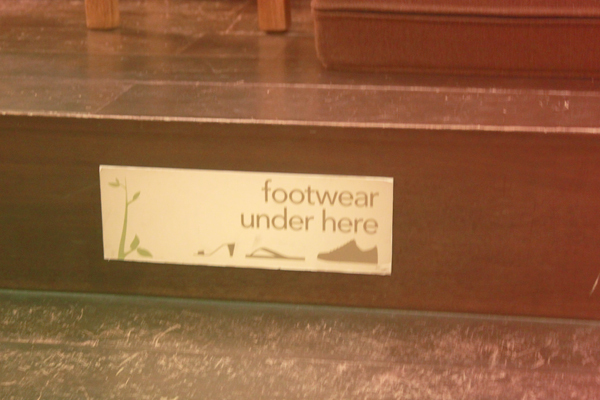 Located in BF Homes Paranaque, the ambiance is just as cozy as how you would hear the south to be. It's a small place, but just imagine a fusion of coffee shop comfort and milk tea aroma ready to welcome you as you open the glass door. 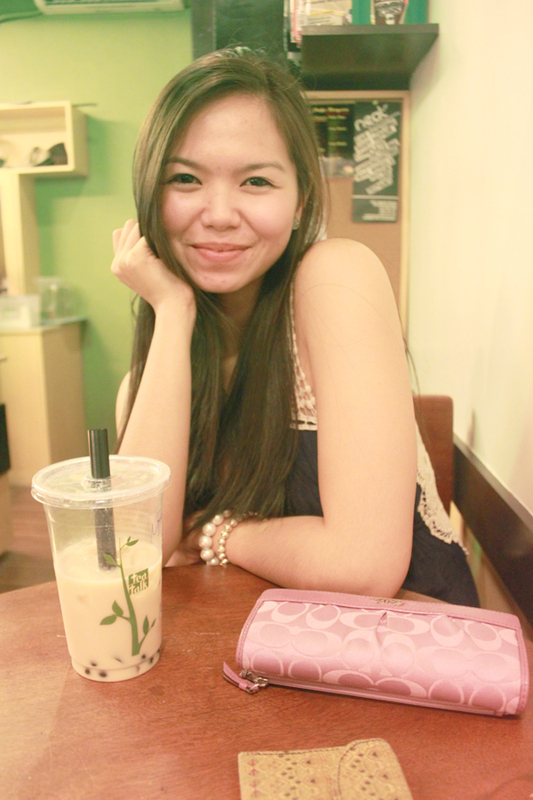 What started out as a quick order-and-leave became an order-and-chill with my PFW date (to the Oxygen show), Ish. We just couldn't resist the low-lit cafe that seemed absolutely relaxing and perfect for talking (hence, TeaTalk). 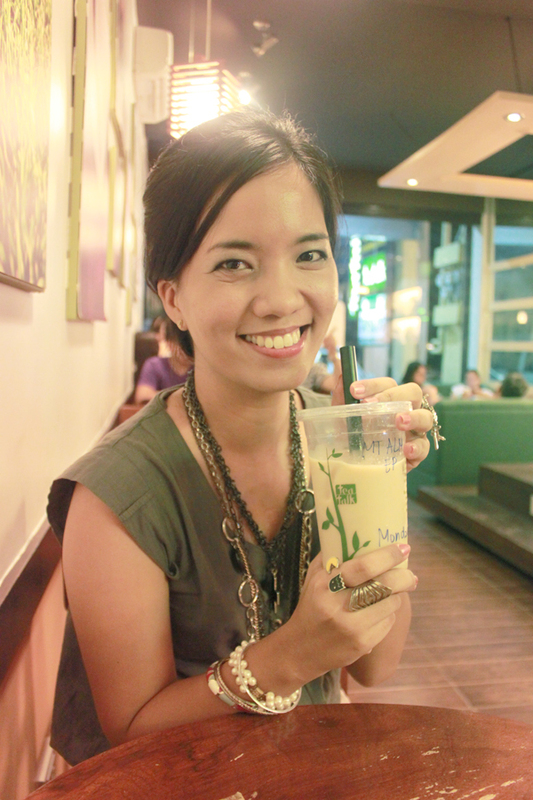 Ish enjoying her large Toffee milk tea with pearl tea'd bits (P110). The prices won't bite your wallet either as their large milk tea is only P100, but similar to the size of most popular milk tea shops. 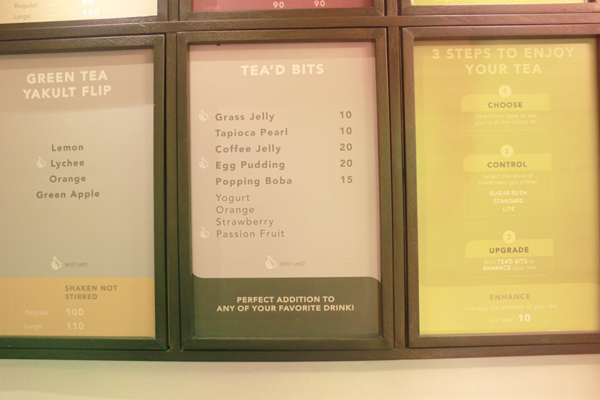 There is an additional 10-20 pesos depending on your "tea'd bit" of choice (which is optional, of course). 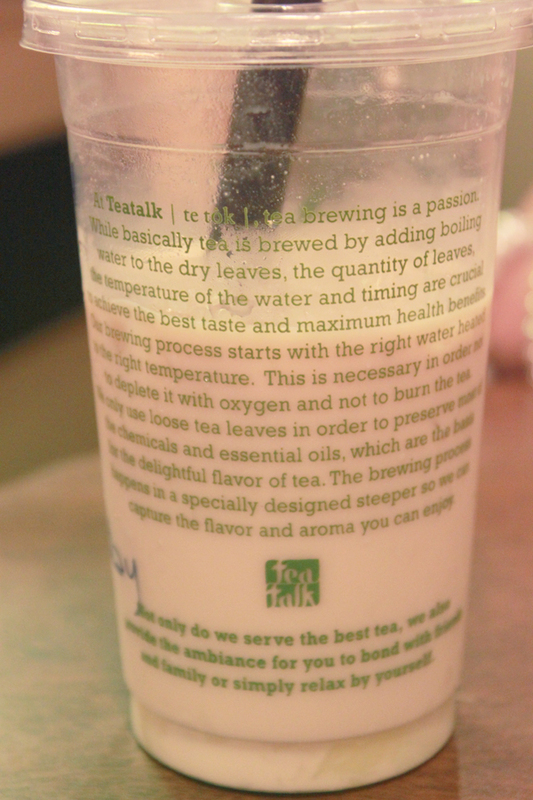 They have other drinks besides milk tea, as can be seen on the photo. For those of you who enjoy their milk tea sweet, they suggest you try one of their three best sellers, the Toffee milk tea; while those who prefer their milk tea not too sweet can try either the Assam milk tea or the Almond milk tea--which is what I got. I've had a bad experience with an almond milk tea before so I was kind of hesitant about this, but when I finally got my drink, I was glad I took the risk because this totally turned my almond milk tea perception around. It just has the right amount of sweetness with the kick of almond. 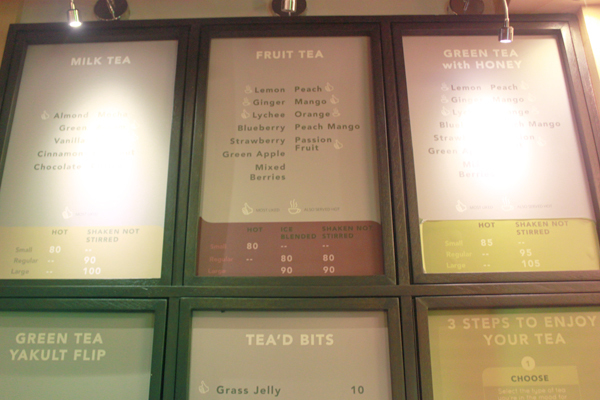 A large Almond milk tea with pudding tea'd bits (P120). Personally, I find their prices worth it considering the cleanliness of the place (washroom included) and the quality of service and drink. By the way, their bathroom has an interesting addition: a chalkboard ('freedom board') that you can draw/write on! Haha! 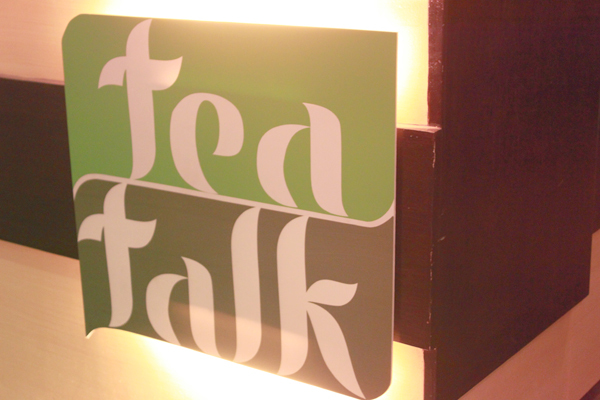 Be updated on what's new with TeaTalk by liking their page on Facebook. They'll be opening a second branch in Northgate (still south), so watch out for that. In the mean time, drop by their first and only branch (as of now) in BF Homes Paranaque along Aguirre st., near Pan de Manila. They're open from 10 a.m. to 2 a.m. So if ever you're in the area, make sure to check the place out and try it yourself and let me know what you think! I'll be going to the province this long weekend, so I'll post about the Oxygen show when I get back. Enjoy the short vacation! ;) Cheers to the freakin' weekend! Love it! I wanna try their Almond milk tea! it really looks tasty! I can almost taste it from here :) hehe. The New BODY by BURBERRY Giveaway! last day to join my giveaway!! !